Several of the stolen carbon fibre bicycles shoved into the back of a van. 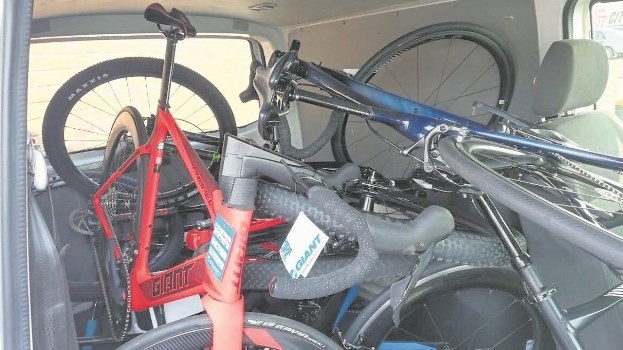 A quick-thinking Pietermaritzburg man noticed how the bicycles were thrown haphazardly into the back, while owners usually store their bicycles carefully. An eagle-eyed Pietermaritzburg man helped police recover stolen bicycles worth around R400 000 when he called in a suspicious vehicle while driving to Estcourt on Friday. It was reported that the man, a neighbourhood watch patroller from the Manor area, had been on his way to Estcourt when he saw two vehicles travelling in convoy towards the Mooi River toll gate on the N3. The patroller spotted bicycles in the back of the van. A source who asked not to be named said: “The man noticed that the bikes looked expensive and that they had been thrown into the back of the bin instead of being stored neatly. He said it appeared the men had broken into a bicycle store, Giant South Coast, on Friday morning and loaded seven carbon fibre bicycles valued at an estimated R400 000. He said if the man had not reported the suspicious-looking vehicles, the two men travelling in the van may not have been caught. The four men travelling in a Golf with the van are yet to be arrested. Provincial police spokesperson Colonel Thembeka Mbele said bicycles and cyclists’ gear was stolen in the burglary. She said two men, aged 32 and 46, were arrested for possession of suspected stolen property at the service station in Mooi River. They are expected to appear in court soon. Giant South Coast owner Wayne Tarr said he was devastated on Friday morning when he realised some of the bicycles had been stolen. “And then, we could not believe our luck when we got the bikes back the same day,” he said. “The bicycles were stolen at around 5.30 am and by 10 am they had been recovered. By 10 pm all the bicycles were back in our shop. 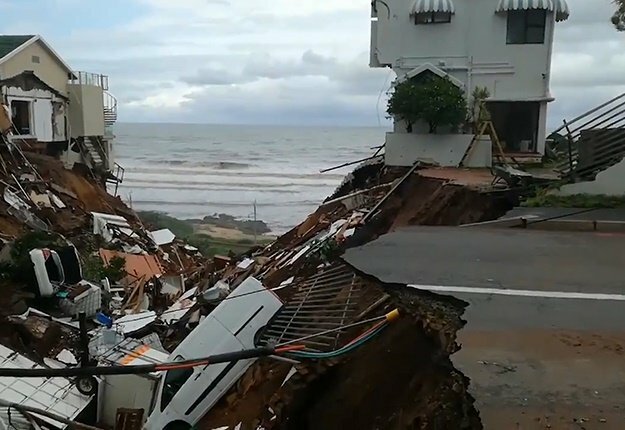 It was really fantastic work by all the people involved and the Giant South Coast family is extremely grateful,” he said.